What Are the Treatments for Elbow Bursitis? Shoulder surgery may be necessary to treat a variety of musculoskeletal conditions that can cause pain and limit range of motion in the shoulder. Common shoulder conditions treated with shoulder arthroscopy include rotator cuff tendon tears, impingement syndrome and recurrent dislocations, states the American Academy of Orthopedic Surgeons, or AAOS. Surgeons may recommend shoulder arthroscopy, a surgical procedure used to visualize, diagnose and treat problems inside a joint. Although this procedure is fairly safe, patients should be aware of the possible complications. MayoClinic.com states that tissue in or around the shoulder joint may be damaged during shoulder arthroscopy. This occurs because the instruments that are inserted into the shoulder joint can damage surround nerves, bone, cartilage and blood vessels. This complication is uncommon, according to MayoClinic.com, and correlates with the experience of the surgeon. Thus, patients considering shoulder arthroscopy should be sure an experienced shoulder surgeon is performing the surgery. 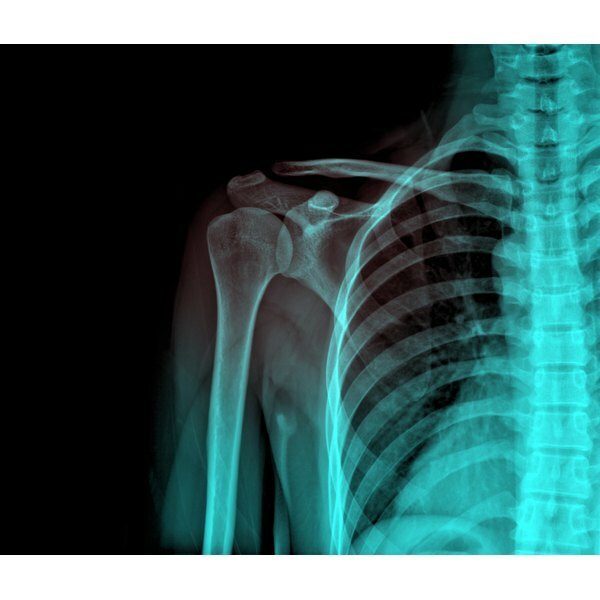 Following the procedure, patients should always let the surgeon know if they are experiencing excessive bleeding, excessive pain, numbness or stiffness in the shoulder joint. Blood clots are a common complication associated with shoulder arthroscopy, states MayoClinic.com. Blood clots are a common complication of any surgery, especially if the surgery lasts for more than one hour. Blood clots occur because of damage to surrounding blood vessels. A patient should let the doctor know if he is experiencing swelling, excessive pain or warmth in the shoulder or in the arm, as these may be a sign of a blood clot. In addition, a blood clot from the shoulder can travel to the lungs and cause a pulmonary embolism. A pulmonary embolism causes chest pain and difficulty breathing, and death in severe cases. Thus, immediate medical treatment is necessary if a pulmonary embolism is suspected. All surgeries carry the risk of infection, including shoulder arthroscopy. An infection may occur because the skin, surgical instruments and members of the surgical team carry bacteria that, despite sterilization and sanitation efforts, may enter the surgical site. In more severe cases, an infection can spread to the rest of the body and cause fever, chills or night sweats. Although a surgeon will sterilize the surgical site and surgical instruments, a patient should always look for the signs of infection after shoulder arthroscopy. He should immediately tell his doctor if he experiences excessive pain, warmth, redness or drainage from any surgical wound. Early treatment can reduce the severity and prevent the spread of infection.